Vortigern is usually presented in a bad light, as a man of immoral and selfish character who used duplicity and deception to rise to the top of the British establishment of his day. He is usually blamed for encouraging the arrival of the Saxon and Germanic invaders to Britain. At first, these were employed as his mercenaries to support his own power and to fight against the Picts and Scots but later he was to find he could not control them. Some scholars say the ruling elite of the Britons may deserve at least an equal share of the blame through their own weakness and disarray in facing their enemies. It may be that as far as the defence of realm was concerned, he did the best he could with the resources he had available to him which had been seriously depleted by the actions of earlier rulers. Yet questions are posed by some of the early writers about his morality and behaviour. Indeed, acts of lust, intrigue, murder, duplicity, and treachery are usually seen to be the hallmarks of his reign. This work presents a brief overview of the rule of Vortigern, looking at some of these alleged acts and incidents some of which resonate through the ages to the present and are the very stuff of legends. While Aurelius and Uther had been growing up in Armorica, the kingdom of the Britons had faced many threats from the neighbouring Picts and Scots, who frequently raided the borders and made encroachments further into his kingdom. To deal with these invasions, he employed Saxon and other Germanic mercenaries to fight for him. To begin with, this worked well. The Saxons, led by two brothers named Hengist and Horsa, were fierce warriors and defeated the Picts and Scots whenever they encountered them. Hengist asked permission of Vortigern to bring more of his countrymen from Germany to help fight Britain’s enemies. Vortigern was pleased with the success of the Saxons and readily agreed, allowing Hengist to send to Germany for more warriors. Next, Hengist asked for a small portion of land where he could build a stronghold for him and his people. All he asked for was a site of a size to be encircled by a leather thong from the hide of a bull. Again Vortigern granted his request. Taking the hide of a bull, Hengist made a thin thong from the whole of it, sufficiently long enough to completely encircle a site of his choosing. There he built his stronghold, which became known as Kaercorrei to the Britons and Thancastre, or Thong Castle to the Saxons. Hengist was quietly pleased with what had been granted and asked Vortigern for permission to bring in more Saxon warriors which was also granted. More ships from Germany arrived, and with them came someone that Hengist had said nothing to Vortigern about. 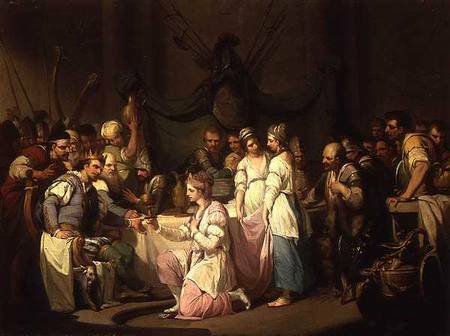 As well as men at arms, they brought a Saxon princess named Rowena, who was the daughter of Hengist. She was one of the most beautiful and desirable of the German princesses of the time, and her arrival would enthral and captivate Vortigern. She would become an important, though covert, player in Hengist’s creeping influence over the King of the Britons. 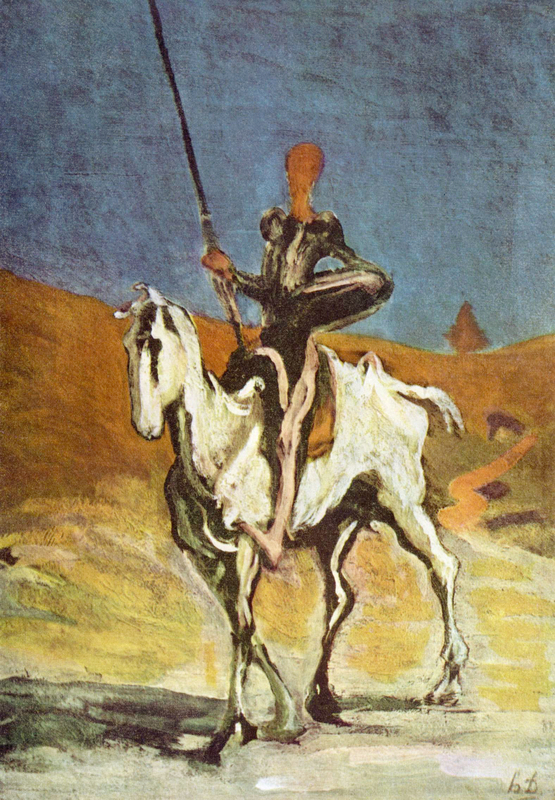 Vortigern was surprised and delighted. He was completely taken by the grace and beauty of the girl and he became enamoured by her. Turning to his interpreter he asked what she had said and what his response should be. His interpreter told him she had called him “Lord King” and that she had offered to drink to his health. He must answer by saying, “Drinc heil!”. Taking the cup from her, he kissed her and drained it. According to Geoffrey, this was how the tradition of toasting became popular in Britain. The person drinks to the health of someone saying “Wacht heil!” with the answer being “Drinc heil!”. This was an important moment for the destiny of the Britons. With the help of vast quantities of beer and wine, and the beauty of this young Saxon princess, Vortigern was well and truly smitten. It was said at that moment the devil entered into him and he wanted her for his wife. 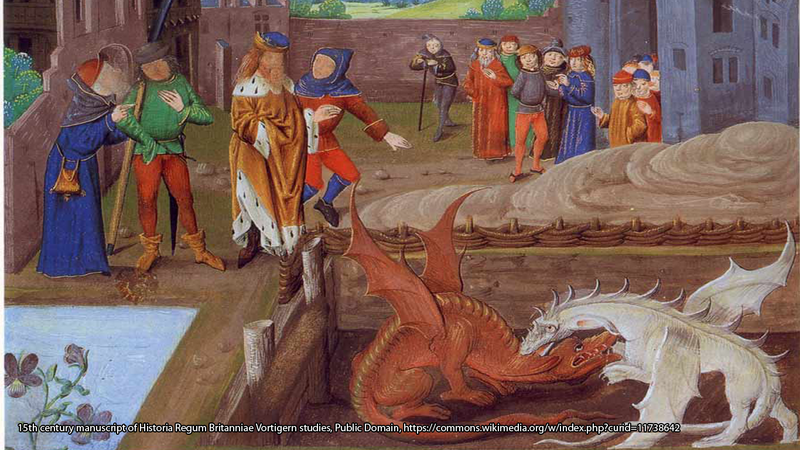 For Vortigern, as a Christian, marriage to a pagan would have been a serious taboo. The wily Hengist was well aware of this and consulted with his brother Horsa and the others of his wise men present. Unanimously they advised that he should give Rowena to Vortigern in marriage and, because of her royal lineage, demand the British province of Kent. Vortigern, without consulting his own wise men or nobles, agreed to this and Kent was given to Hengist without the knowledge or consent of Gorangan, the noble who had ruled it. Although it may be said that Rowena was given to Vortigern, it became apparent that it was really Vortigern who was possessed by her. This, and his marriage to a pagan princess and the giving away of Kent, fuelled animosity in his own nobles, for he already had a wife, three sons named Vortimer, Catigern, and Pascentius, and a daughter. 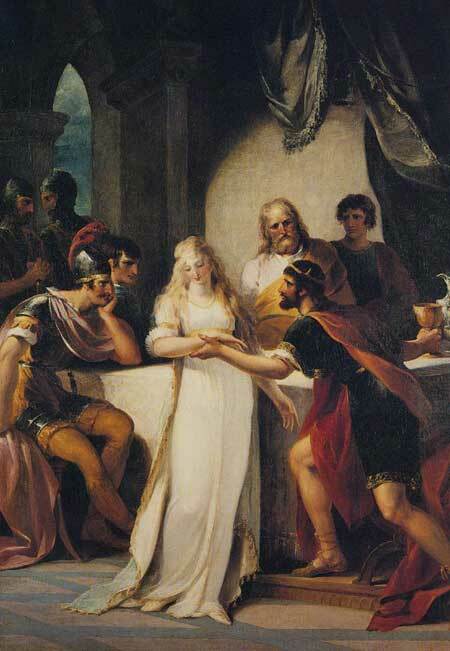 Nevertheless, the marriage of Vortigern and Rowena took place that night. Although he was well pleased with his new wife, this was to cause unrest against him from his own sons and nobles, but a further threat was also drawing near. Despite his love and marriage to Rowena, he caused further hostility when he fathered a child with his own daughter, further alienating the clergy and his nobles and setting the church against him. With the ever-increasing number of Saxons arriving, the Britons became uneasy and resented the favour shown to them by the king. Vortimer, the son of Vortigern, rebelled against his father, taking the crown and leading the Britons against the Saxons. His brother Catigurn duelled with Horsa in battle where they killed each other in the fight. After being deposed, Vortigern had remained with Rowena and her father among the Saxons, while Vortimer had fought against them. In a series of battles, Vortimer drove Hengist and the Saxons from mainland Britain to the Isle of Thanet, where he besieged them with his ships making regularly attacks upon them. 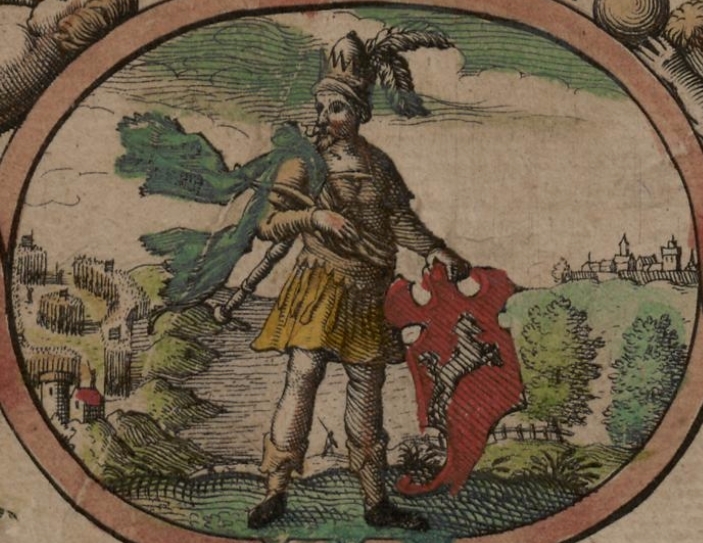 Hengist could not match Vortimer, and knowing he was defeated, sent Vortigern to his son to plead for peaceful passage out of Britain for him and his Saxons. While a conference was being held on this proposal, with the Britons distracted, the Saxons left their women and children behind and took to their ships and escaped, sailing back to their homeland. Even though Hengist was gone, Rowena was secretly keeping in touch with her father in their homeland. She allegedly poisoned Vortimer, who fell ill and died leaving a power vacuum, and once again Vortigern claimed the crown. With Vortimer dead, Rowena persuaded her husband to send a message to her father inviting him back in a private capacity, which would allow him to bring a small retinue with him. Hengist, on hearing that Vortimer was dead, saw his chance and raised an army of three hundred thousand, wasting no time in building a fleet of ships to transport his men to the shores of Britain. When the news of such a vast army reached Vortigern, the British nobles were furious at the betrayal of goodwill and resolved to fight. Rowena sent word of this to her father, who came up with a different plan. He sent messengers to Vortigern saying that he had only brought such a large army as he feared being attacked by Vortimer, claiming not to know of the man’s death. He suggested that when he arrived, Vortigern should pick and choose those of his army who should stay and those to be sent home. If Vortigern agreed, he should propose a time and place where they could meet with each other unarmed and make a peace treaty. Vortigern was pleased to accept this, as he was reluctant to let Hengist leave, both for the sake of Rowena and because of his usefulness in battle. He set the date for the Kalends of May, which was drawing near, and the meeting place would be the monastery of Ambrius. Hengist readily agreed but had formulated a secret plan. He ordered all of his Saxon soldiers who would accompany him to conceal a long knife in their clothing. They were to act friendly and peacefully towards the Britons, encouraging them to drink heavily. When he deemed the time was right, he would cry out “Nemet oure Saxas”, meaning “get your knives”, and they were to seize their knives and slay the Briton nearest to them, relying on the fact that the Britons would not have understood their language. The only Briton to be spared was to be Vortigern, who Hengist wanted alive. The plan worked, and four hundred and sixty of Britain’s barons and nobles were assassinated, according to Geoffrey of Monmouth, and Vortigern was taken hostage. This murderous event became known as The Night of the Long Knives, and became synonymous with Saxon treachery and looked upon by the Britons thereafter with great anger. Only one intended victim escaped that night and his name was Eldol who was the Earl of Gloucester. It would be Eldol who was to help to defeat Vortigern and capture Hengist in battle, and it would be he who would carry out his execution. Meanwhile, Hengist now had Vortigern firmly in his power, and with him the kingdom of the Britons. Nevertheless, he would not kill him until he had wrung from him everything he needed. He demanded Vortigern give to him all of his fortified cities and fortresses in return for his life. With no other choice, Vortigern agreed, and he was set free to watch as Hengist and his Saxons took London and then York, Lincoln and Winchester, leaving a trail of devastation in their wake. Not knowing what else to do, Vortigern took what little followers remained and went to Cambria where he was to seek counsel from his wise men. Vortigern at last realized he had been dangerously outmanoeuvred by Hengist. He consulted his wise men, and they advised he should find a strategic and defensible place and there build a new stronghold as Hengist now had command of all the fortified places. After searching what remained of his kingdom, he finally settled on a place now named Dinas Emrys. His builders set to work and, on the first day, they had made good progress. When evening came, they went home expecting to continue building on the progress they had made when they returned the next day. However, when they arrived the next morning, they found all the walls they had built the previous day in a heap on the ground. Bemused, they rebuilt what had come down, and again broke off from work in the evening thinking they had set their work to rights. In the morning, when they arrived expecting to make progress with their work, they discovered once more it had become a heap of rubble on the ground. Day after day, this pattern went on, and the building work was making no progress. The exasperated Vortigern asked his wise men for guidance and they advised him he must seek out one who was not born from man. They must then be sacrificed and his blood sprinkled on the foundations. He sent out his servants to find such a person, and after a long search, they came back with a boy named Merlin Emrys, who was destined to become the prophet and counsellor of the kings of Britain. Vortigern told Merlin he would be sacrificed, but Merlin demanded Vortigern bring him his wise men for questioning first. Vortigern agreed, and on questioning by Merlin, it becomes clear that they actually had no idea why the walls kept falling down. Merlin told Vortigern that under the hill there was a subterranean pool that held two stone vessels that contained two sleeping dragons. One dragon was red and the other was white. It was the pool of water making the foundations unstable. Merlin instructed Vortigern to dig below the foundations, and sure enough, a pool was revealed. He then instructed Vortigern to drain the pool, and two stone containers holding two sleeping dragons were found, much to the amazement of all. When the dragons awoke, they immediately set about fighting each other. After a long and vicious struggle, the red dragon drove away the white dragon. Merlin asked the wise men what this meant but none of them had any idea. He then interpreted the scene for Vortigern telling him that the red dragon represented the Britons, and the white dragon was the Saxons. 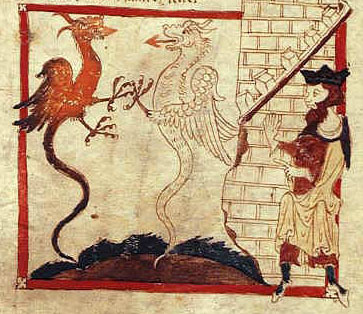 After a hard struggle, the red dragon would eventually succeed in driving out the white dragon, but he warned the white dragon would return centuries later to rule Britain. Then he made a long series of prophecies which impressed and awed Vortigern, who asked him about his own death. Merlin told him he saw two possible deaths for him. He told him that as he spoke, Aurelius Ambrosius and his brother Uther had set sail for Britain at the head of a vast fleet carrying an invasion force and were disembarking at Totnes. The remaining Britons would flock to their banner, and they would seek him out and burn him in his tower in revenge for the death of their brother Constans, and because he brought the Saxons to the shores of Britain. When they had finished with him, they would attack Hengist and drive the Saxons from Britain. The next day, in proof of Merlin’s words, messages arrived telling of the arrival of Aurelius Ambrosius and Uther, and an invasion army that had landed at Totnes. Then Merlin told Vortigern the second death would be at the hands of the Saxons who were now, thanks to him, at work laying waste to the country. However Merlin emphasized that he did not know who would get to him first. He told him Hengist would be killed and Aurelius Ambrosius would be crowned king. Aurelius would right the wrongs that had been done by the Saxons and bring peace to the country, but his days would be cut short by poison. After him, Uther would be king but he too would die of poisoning. He then foretold of the arrival of a king, believed to be Arthur, who would bring peace and unify Britain and build a great empire. Merlin then advised him to seek out another site for his stronghold and seek it fast. News of the arrival of the two brothers and rightful heirs had spread like wildfire across Britain. The war leaders and nobles that were left after the Treachery of the Long Knives had been scattered and were leaderless. Eldol, the Earl of Gloucester who had survived the treachery of Hengist joined up with the brothers, as did the remaining warlords and nobles who had not attended the terrible event. They brought together the clergy, and crowned Aurelius Ambrosius as the King of the Britons. Although there was a clamour from these lords and clergy for the king to battle the Saxons immediately, Aurelius refused. He told them Vortigern would be brought to justice for the murder of Constans, and for bringing the Saxons to Britain. With this vengeance in mind, he marched his army to Caer Guorthegirn – the city or fortress of Vortigern, now known as Little Doward – where Vortigern had sought refuge from the Saxons. There are conflicting accounts of the death of Vortigern, but according to Geoffrey of Monmouth, Aurelius and Uther, with Eldol in assistance, attacked Vortigern’s last stronghold but could not breach the walls after several attempts. Aurelius then ordered that his archers rain burning arrows upon the fortress, turning it into a fiery inferno and killing all inside, including Vortigern and Rowena. So it was that a man who had become the King of the Britons through treachery and murder was undone first by Hengist the Saxon leader, who proved more treacherous, ruthless and cunning, and then finished off by Aurelius Ambrosius in revenge for the deaths of his father and brother, and for bringing the Saxons Britain’s shores. With the legendary Vortigern dead, King Aurelius Ambrosius turned his attention to Hengist and the Saxons, writing a new chapter in the legends and folklore of the Britons of the island of Britain. Pingback:	Vortigern’s Rule: Rowena’s Poison – Under the influence! Pingback:	Vortigern’s Rule: The Battles of Vortimer – Under the influence!